Rhodiola Rosea is a well-known traditional remedy for stress and mood disorders. It helps to combat mental stress, depression and anxiety. It vitalizes the body and reduces fatigue. It acts as an adaptogen, nervine tonic, anti-oxidant, cardioprotective, anti-fatigue, anti-stress and neuroprotective. The main action of Rhodiola is observable on mind, brain, nerves and muscles. It produces a feeling of calmness in the mind and gives a feeling of more energy in the body. Rhodiola root powder or its extract is useful in medicine. Rhodiola Rosea is the botanical name of Roseroot Stonecrop, which is also known as Arctic Root, Golden Root, Rosavin, Rhidola, Aaron’s rod, and Rhodiola Rhizome. It belongs to stonecrop family named Crassulaceae. It is perennial and fleshy succulent plant, which grows up to around 30 cm. It is commonly found in Himalayas Region & Southwest China. It is used in Traditional Chinese Medicine and HONG JING TIAN is the Chinese Name of Rhodiola. The Roots of the Rhodiola Rosea is used in powdered form in Traditional Chinese Medicine. Now, Rhodiola Root extract is also available. A small amount (around 0.05%) of essential oil is present in the roots. The important active constituents are found in the roots, which are responsible for the therapeutic value of the Rhodiola. The following properties are based on the literature of the Traditional Chinese Medicine for HONG JING TIAN (Rhodiola Rosea). Rhodiola Rosea as a supplement is used to provide strength to the brain and other parts of the nervous system. It helps the body to cope with stress and increases the endurance capacity. Rhodiola Rosea has effects on the mind, brain, and muscles. It has stimulant action on the nervous system. It enhances the mood, reduces fatigue, and increases the mental as well as physical performance. 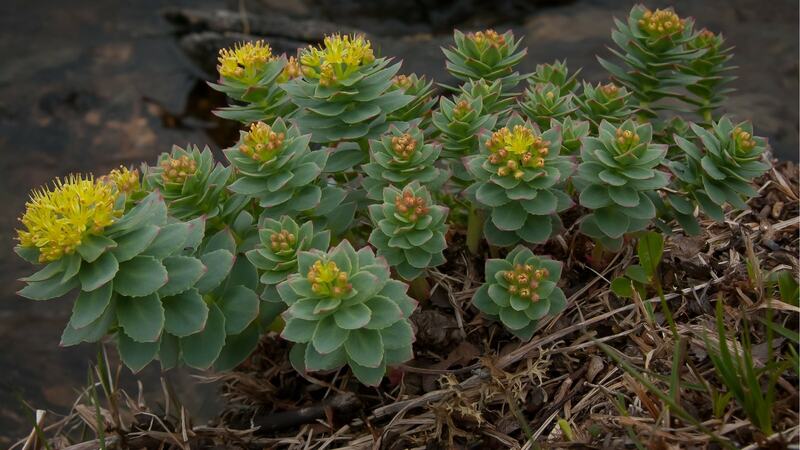 The adaptogenic action of Rhodiola Rosea Roots helps to cope with stress and delay aging. It increases the stress resistance of the body, which helps to cope with physical, emotional, biological and chemical stressors. This way, it also promotes longevity and delay aging. Rhodiola Rosea Root powder in the dosage of 50 to 100 mg once a day can be used as a supplement to reduce stress and promote longevity. This dosage also helps to prevent mental fatigue and physical exhaustion. In the acute phase of the stress, one should start from the low dosage i.e. 50 mg and gradually increase the dosage to 500 mg per day. 500 mg quantity of Rhodiola should be taken in divided dosages 3 to 5 times a day. The long-term use of Rhodiola in low dose is more effective as compared to short-term use in higher doses. It 50 to 100 mg dosage per day is appropriate and well-tolerated dosage in the most individuals. Rhodiola Rosea Roots act as Ashwagandha Roots (Withania Somnifera) for reducing fatigue and exhaustion. It provides strength to the body and increases muscle’s endurance to physical stress. Some scientific evidence suggest that it increases physical performance and reduces physical as well as mental fatigue. Significant improvement in fatigue and exhaustion is observable with 100 mg dosage of Rhodiola Rosea Root Powder once a day when it is taken for 2 to 4 weeks continuously. Rhodiola Rosea extract (SHR-5) has a potent anti-fatigue characteristic, which helps to enhance mental performance and increases the mental concentration. Many people with chronic fatigue syndrome reported improvement. The anxiolytic effects of Rhodiola Rosea are secondary to its adaptogenic property. It appears to ameliorate the imbalance of the levels of inhibitory amino acids and monoamines in the brain, which helps to reduce restlessness and anxiety. It is effective in reducing shortness of breath, feeling of uneasiness or restlessness, and tingling sensation in the hands and feet associated with anxiety disorders. It also increases serotonin level in the brain, which increases the feeling of happiness and well-being. 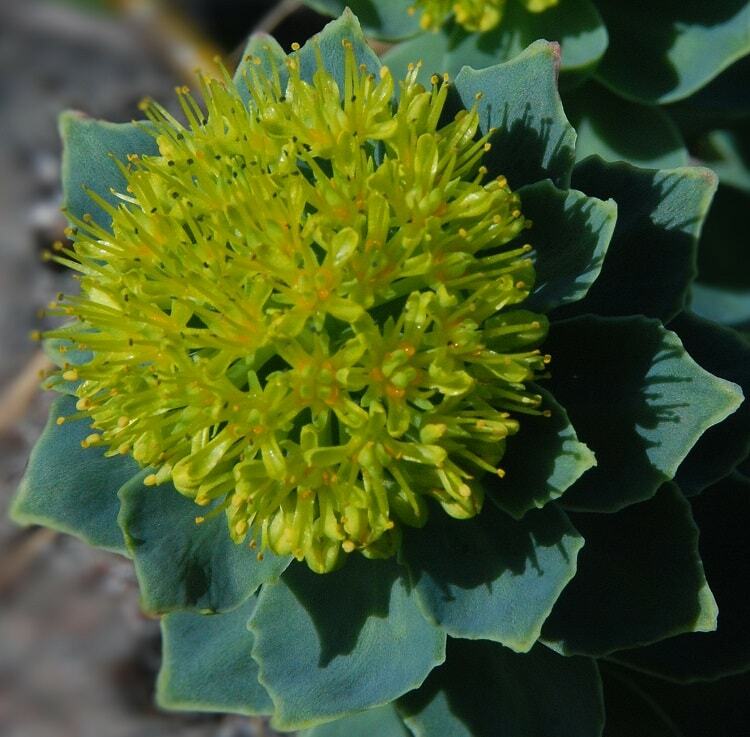 Alone Rhodiola Rosea in high dosage may result in agitation or overstimulation in some patients with anxiety disorders. Therefore, if it is required to use it alone, then it not should be started with the minimal dosage (50 mg) and then the patient should gradually increase the dosage over the period of 6 weeks. To avoid this effect, one can use it along with Nardostachys Jatamansi (Spikenard) and Centella Asiatica (Gotu Kola). Rhodiola Rosea is a good antidepressant and mood enhancer. It helps to reduce the stress, make a person feel better, improve sleep and reduce emotional instability. It also has stimulant action, which positively helps to enhance the mood. This action is likely to appear within the first 2 to 3 hours after intake of its extract. After that, it has calming effects. Therefore, one should not take it before sleep. It should be used in daytime. However, Rhodiola in natural form (crude herb powder) may not act quickly as its extract. We believe Rhodiola root powder is safer and less likely to cause any side effects like vivid dreams. Rhodiola Rosea in a combination of Nardostachys Jatamansi (Spikenard), Bacopa Monnieri (Water Hyssop) and Valerian Root (Valeriana Officinalis) works better in the management of the depression. This combination can be used in the following dosage. All herbs described here should be used in the natural form. These herbs should be mixed in this proportion and can be taken with water twice a day after meal. In addition to its use in depression, it can also be used in anxiety disorders and insomnia. Rhodiola Rosea and Valerian Root both have stimulant and mood enhancer actions. Spikenard and Bacopa help to stabilize the positive changes in the mind, reduces stress, and builds resistance to stress and emotional disturbances. This combination also prevents side effects of each other herbs. Overall, it reduces irritation, agitation, and stress, makes a person feel good or gives feeling of general well-being. However, there are no strong evidence available for its effects on immunity, but Rhodiola Rosea Roots likely to increase non-specific immunity in the body. Its adaptogenic action may be responsible for this. Secondly, its main effect appears on lung channel and it helps to prevent the upper respiratory tract infections, according to Traditional Medicine. The general dosage of Rhodiola Rosea is as follows. It can be taken anytime as per your convenience – after food or before. You should avoid it before sleep and take it daytime at least 3 hours before sleep. For better absorption of Rhodiola Rosea, it can be taken 30 minutes before a meal. In some people, Rhodiola may cause palpitation. However, it is a very rare side effect, but one should take precaution before starting it in high dosage. Sensitive people can start Rhodiola Rosea with low dosage i.e. 50 mg twice daily, then its dosage can be gradually increased up to 250 mg or up to 500 mg twice daily as per requirement. Rhodiola Rosea is considerably safe for most individuals in recommended dosage when taken under professional supervision. The side effects of Rhodiola Rosea are very uncommon. In some sensitive people, it can cause vivid dreams or sleep disturbances when taken just before sleep. Such patients should avoid its high doses and should start with 50 mg twice daily. Over a period of 6 weeks, the dosage can be increased as per tolerance. The safety profile of Rhodiola Rosea during pregnancy and lactation is not well established, so it would be best to avoid it. At which age can we give Rhodiola to a child? In children, Rhodiola can be started under strict medical supervision after the age of 8 years. The dosage should be adjusted according to 2.5 mg per Kg body weight and the total dosage should not exceed 125 mg twice daily (or 250 mg per day). Is Rhodiola Rosea a blood thinner? However, the anticoagulant effect of Rhodiola Rosea is insignificant to cause bleeding or increase bleeding, but still it should be avoided 15 days before and after surgery. Simultaneous use of Rhodiola and other anticoagulant medicines (like warfarin) is also not suggestible because Rhodiola may increase the blood thinning effect of these medicines when taken together. How long does Rhodiola Rosea take to work or show results? The results and time can vary person to person, but in most cases, it show positive results within 2 weeks of its regular use. If one has started with the low dosage, then it may take up to 6 weeks to give you positive or desired results. How long can you take Rhodiola Rosea? Rhodiola Rosea can be used for maximum up to 3 months. After 3 months, one should stop taking it for 2 weeks for precautionary purposes to avoid possible dependence on Rhodiola. How much Rhodiola Rosea should I take per day? 250 mg twice daily or 500 mg per day of Rhodiola Rosea root powder is most appropriate and safe dosage. However, you can take maximum 1 gram Rhodiola per day depending on the individual health condition and your doctor recommendation.